A lot of the talk surrounding the Goo Goo Dolls as the band plays shows this fall in support of its latest album, “Magnetic” (and a new 5-song acoustic EP, “Warner Sound Sessions Live”) is centering on how life is better in the band than it was when the group last went through the album-making process. Some of the good vibes reflect recent events in the lives of the Goo Goo Dolls’ two founding members. Singer/guitarist John Rzeznik got married to his long-time girlfriend Melina Gallo, while bassist Robby Takac became a father. But Takac says things have also taken a turn for the better with issues relating directly to the band. It was a blockbuster album, selling 3 million copies and spawning four top 10 hit singles (including the ballad “Iris,” which topped “Billboard” magazine’s airplay chart for a record-breaking 18 weeks). 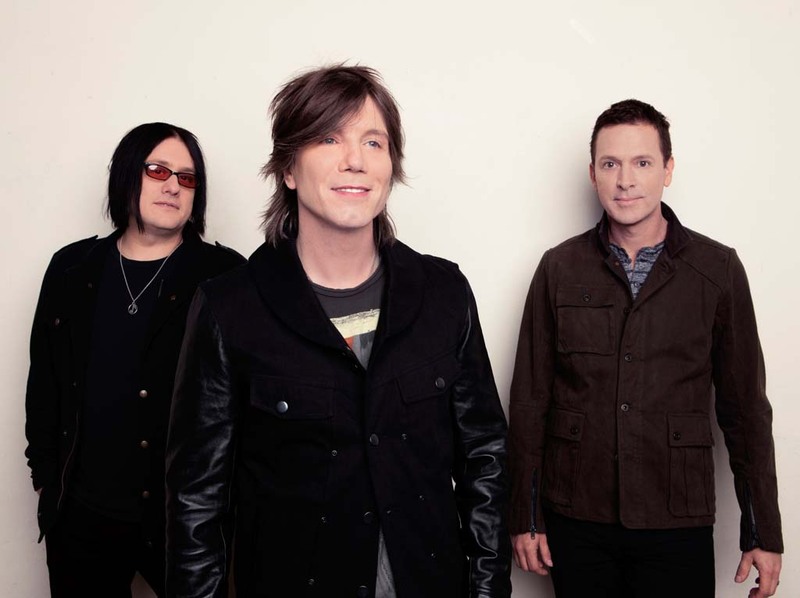 Suddenly, the Goo Goo Dolls, which had already enjoyed significant success with the 1995 album “A Boy Named Goo” (it included the hit single “Name”), had reached the top echelons of popularity. That weight of these expectations, Takac said, was felt for the next dozen years and through three subsequent studio albums — “Gutterflower” (2002), “Let Love In” (2006) and “Something for the Rest of Us” (2010). “I think there was a lot of a lot of pressure with the ‘Gutterflower,’ ‘Let Love In’ and ‘Something for the Rest of Us’ trilogy there. There was a lot of pressure to have another record with four top 10 songs again,” Takac said. Of course, it’s a small club of artists and bands that have made even one album with four top 10 hits. Bands that have done it more than once are in that much more exclusive company. But those statistics didn’t stop Warner Bros. from being disappointed when “Gutterflower” tallied only about 800,000 copies sold, according to Takac. Making matters worse, the diminished sales of “Gutterflower” came as profound changes that were starting to happen in the music industry as a whole. Consumers were starting to download albums in big numbers, taking a mighty bite out of record sales. Panic set in with labels, and the desperation that was settling in across the industry was felt within his band. Rest Of Us,” he ran into a severe case of writer’s block. The recording of the album wasn’t entirely smooth either. So for “Magnetic,” the band decided to write, arrange and record each song one at a time. The change made the making of “Magnetic” more enjoyable for the band. Whether this approach resulted in a better album may depend on musical tastes. After rocking up its sound just a bit on “Something for the Rest of Us,” “Magnetic” puts the emphasis back on tuneful mid-tempo pop tunes and ballads in the tradition of hits like “Iris,” “Name” and “Slide.” Lyrically, Rzeznick returns to the more personal, romantic themes of the band’s most popular albums. For fans who liked the scrappier rock sound of early Goo Goo Dolls albums like the early ‘90s albums “Hold Me Up” (1990), “Superstar Car Wash” (1993) and “A Boy Named Goo” (1995) — a sound that often earned the band comparisons to the Replacements — the move back to mainstream pop territory will probably be disappointing. But the songs on “Magnetic” are well crafted and have lots of melodic appeal. The Goo Goo Dolls will undoubtedly squeeze some of the new songs into its hit-filled live set, although crafting a set list has become a challenge.